Many bloggers are against affiliate marketing on social media, because it can often lead to followers leaving them. However, if done in the right way, with the right attitude, can lead to a win win situation between the affiliate marketer and his/her followers. If affiliate marketing is part of your revenue stream it's important for it to be done in the right way. 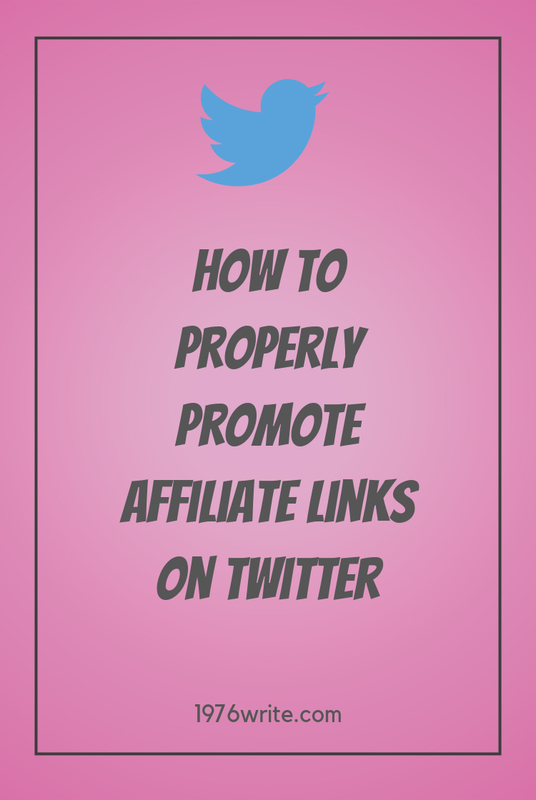 Here are some tips to take note of when you post affiliate links on Twitter. 1. Are your products relevant? Many people post links that have nothing to do with what they're actually write about, which isn't clever. Posting links like this holds little water with your audience, and will potentially annoy your readers. Always make sure the products you're promoting are relevant to your brand. People often add affiliate links from products they've tested themselves. Giving their own mini review through a Twitter post. People like personal recommendations, and are more likely to use them if they've been recommended to them. 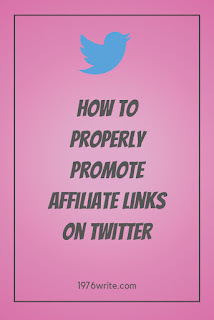 Affiliate links can be used as part of a conversation on Twitter, and can be slipped in at the appropriate time, with a small declaration that they are affiliate links. The opposite of this particular tactic would be the use of 'cold calling' which can often be a put off. This can be done through blog posts, and is less intrusive than an direct link tweet. You can do this through product reviews and best of lists. When it comes to posting affiliate links, there are many different thoughts and methods. But the amount of times you post a link can matter to your audience. People automatically switch off when they're bombarded with too many messages to buy all of the time. Try the less is more approach, if you're already posting affiliate links, look at your analytics, that can be the key to knowing if you're posting too many links at a time. If you're not posting any links at all on your Twitter feed, start gradually, by posting a one may be once a week to begin with. You'll soon know if you're links are liked or not by your audience. The best way to know if you're being successful with your affiliate links is to check your analytics and if you're making any money out of the links you're adding. This goes right back to the point about being relevant. It's surprising what you discover about your audience by what they purchase through Amazon. There's no doubt that you'll get a lot of clicks, but conversions take time, and gaining trust from audience. I know a lot people won't agree with my opinion about affiliate marketing on Twitter, but I do think at the end of the day if you want to make money online you have to test all the avenues you can find. It can take a while before your audience is trusting enough to start clicking and buying any of your affiliate products. But by not trying you'll never know. Let me know your thoughts on affiliate marketing on Twitter in the comments below.